Recent changes in company taxation that primarily affect owner-managed business were agreed by the UK and Norwegian governments in 2013 and come into force in Norway with effect from 1 January 2014. 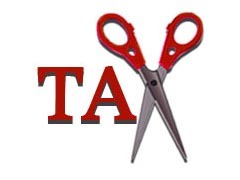 We are still digesting the impacts, and more importantly the ways to reduce your tax bills. Due to the complexity of the issues surrounding the tax residency issues, this page will be updated regularly, as more information becomes available. Amendments to this page will be highlighted for clarity as more information becomes available and tax practice become clearer. If you are working through your own non-Norwegian limited company and more than ½ of your income is earned in Norway and you personally spend more than 183 days working in Norway then your company will now be deemed as having a permanent place of business in Norway; with your Norwegian profits being subject to Norwegian corporation tax at 28%. Your company will be have a duty to prepare Norwegian accounts as an extract of your company accounts showing the income and expenses that relate directly to your Norwegian income. It will also be expected to prepare a Norwegian Corporation Tax return. Generally speaking, your company will be able to offset the 27% Norwegian Corporation tax against the UK tax corporation tax liability on the same profits at 20%, resulting in a net increase in company taxation liabilities of 8%. Please note that both of these tax rules are being applied retrospectively to the start of the current 2014 tax year if you meet the criteria for 2014. We are very concerned that this may also impact on your requirement to register for Norwegian VAT and comply with Norwegian accounting rules. This will be very expensive and potentially very onerous, and this is one part of what we are trying to help you to avoid. Obviously, limiting your time in Norway is the easiest solution, but this may not meet your business needs. However, we have a potential solution that may help some UK companies. This is highly dependent upon your exact trading status and upon your current VAT Registration position in the UK. This can potentially legally avoid any to Norwegian company taxation, but is very technical and we can only currently recommend it to those earning in excess of £200,000 pa in Norway due to the potential set-up costs. We hope to be able to offer it to other groups and those on lower gross incomes shortly, so please follow us on Twitter for constant updates. For further information please contact Sue@Norway-Tax.co.uk who can offer advice on all these issues.